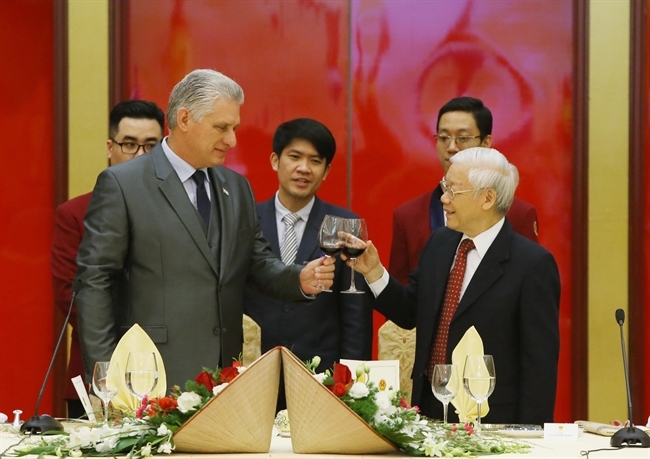 The official visit to Vietnam of President of the Council of State and Council of Ministers of Cuba Miguel Mario Diaz-Canel Bermudez has further deepened the traditional friendship, comprehensive cooperation and faithful solidarity between the Parties, States and peoples of the two countries. 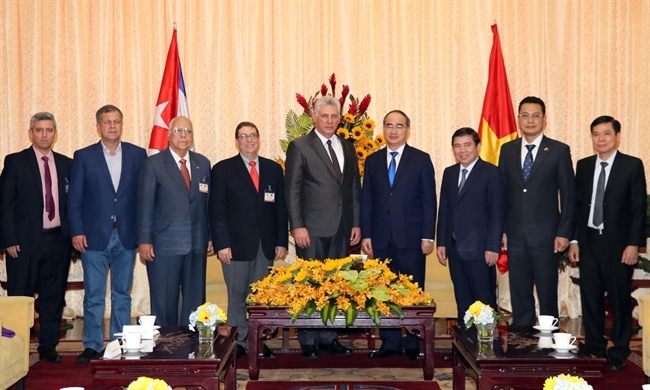 Vietnam and Cuba have reached consensus on measures to improve the efficiency and sustainability of cooperation during the talks between Party General Secretary and President Nguyen Phu Trong and President of the Council of State and Council of Ministers of Cuba Miguel Mario Diaz Canel Bermudez in Hanoi on November 11. 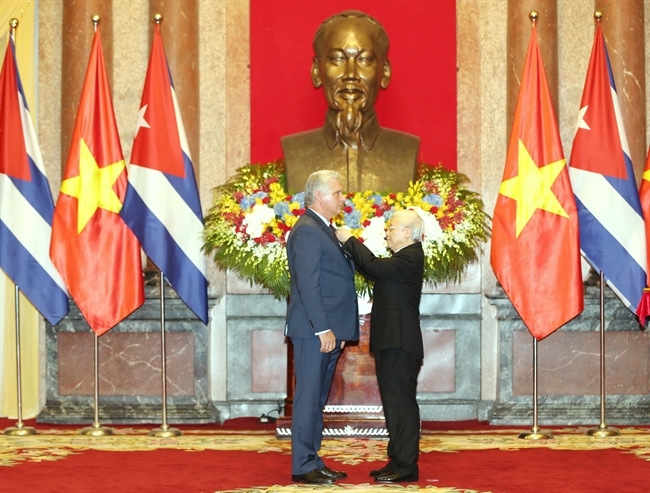 Party General Secretary and President Trong presents the Order of Ho Chi Minh to the Cuban leader . The two leaders witness the signing ceremony of cooperation documents between the two countries. 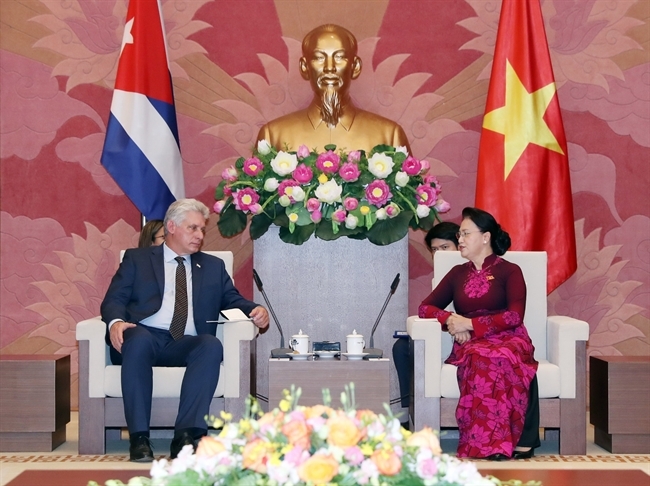 National Assembly Chairwoman Nguyen Thi Kim Ngan also meets with the Cuban leader. The Vietnamese leader said the two sides had committed to continuing their close and comprehensive cooperation, and making efforts to consolidate and deepen their model fraternity, traditional friendship, comprehensive cooperation and loyal solidarity. The host and guest compared notes on measures to deepen economic, trade and investment ties in an effective and practical manner, intensify the partnership in national defense-security and external affairs, and step up affiliation in agriculture, bio-technology, pharmaceutical products, health care, science-technology and exchange between citizens. 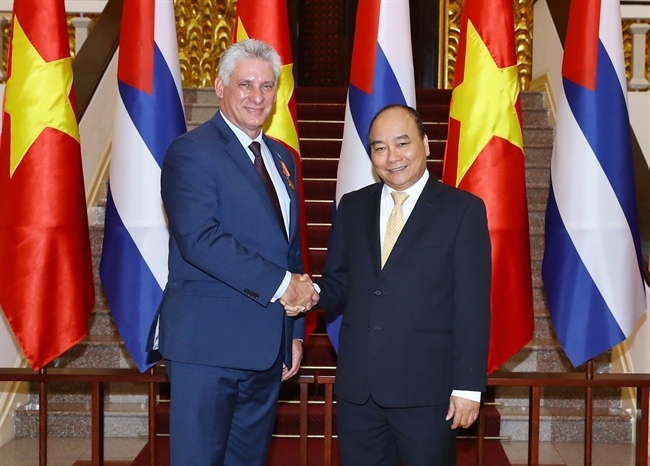 Party General Secretary and President Trong presented the Order of Ho Chi Minh to President Miguel Marino Diaz-Canel in recognition of his outstanding contributions to developing the solidarity, friendship and comprehensive cooperation between Vietnam and Cuba. 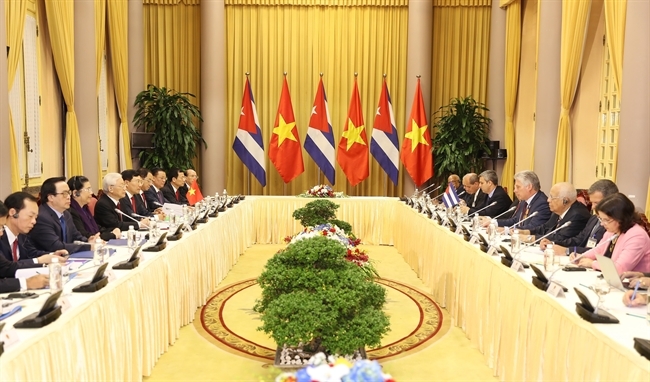 Vietnam and Cuba affirmed that they will bolster collaboration at multilateral organizations and forums, especially the United Nations, the Non-Aligned Movement and the Forum for East Asia-Latin America Cooperation. Party General Secretary and President Trong believed that the good results of President Miguel Marino Diaz Canel’s visit will create a new momentum to lift the Vietnam-Cuba special relationship to a new high, meeting the aspiration and interests of people of both sides, and contributing to maintaining peace, stability, cooperation and development in the region and the world as well. 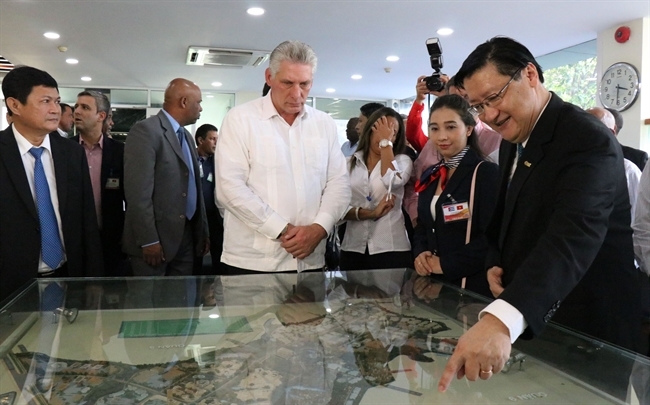 Meanwhile, President Miguel Marino Diaz Canel expressed his hope that the two sides will continue to exchange experience in socialism building, and that the reached agreements will be materialized through specific cooperation projects, thus bringing practical benefits to both sides. 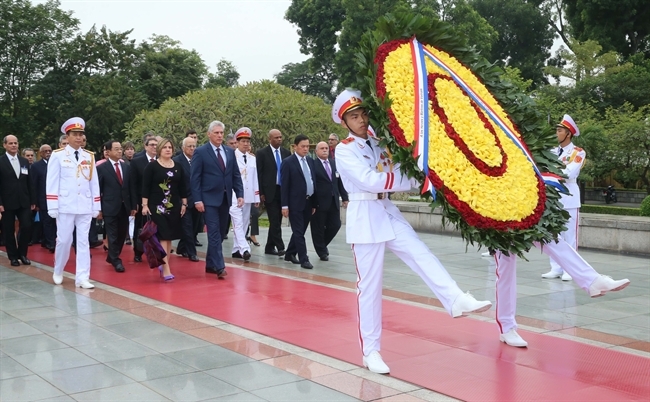 The solidarity and fraternal relationship between Vietnam and Cuba, which were fostered by Presidents Fidel Castro and Ho Chi Minh, have developed across fields. Since the two countries established diplomatic ties in December 1960, the solidarity, mutual support and comprehensive cooperation have been continuously consolidated. Over the past years, the time-honored solidarity, mutual support and comprehensive cooperation between the two countries have been strengthened in all spheres. Party, State and Government leaders of the two countries have regularly exchanged visits, contributing to enhancing the bilateral ties and expanding exchanges between ministries, agencies and sectors. 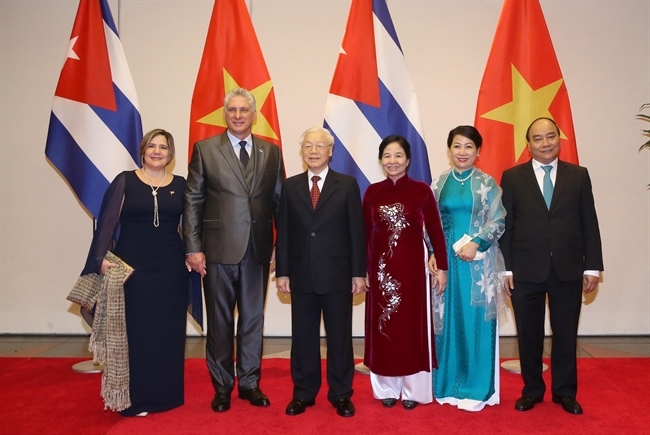 Some of the most noteworthy visits by Vietnamese leaders to Cuba were made by Party General Secretary Nguyen Phu Trong in April 2012 and March 2018; President Tran Dai Quang in November 2016; President Truong Tan Sang in September 2015; and Prime Minister Nguyen Tan Dung in March 2014. 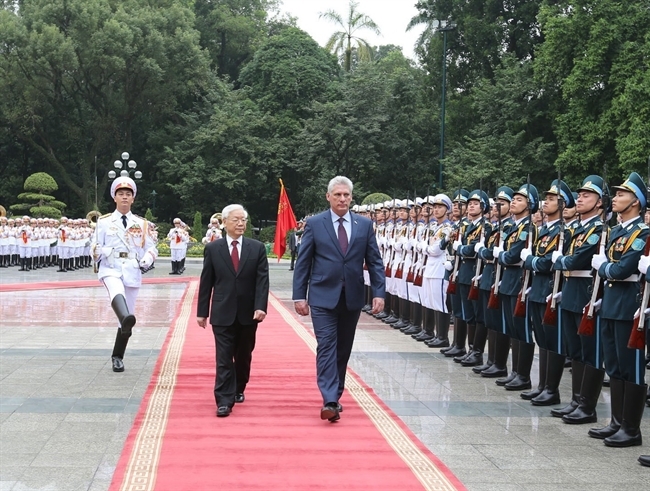 Meanwhile, First Vice President of the Council of State and the Council of Ministers Salvador Valdes Mesa visited Vietnam in September 2018; National Assembly Chairman Esteban Lazo Hernandez in June 2017; First Vice President of the Council of State and the Council of Ministers Miguel Diaz-Canel in June 2013; and President Raul Castro in July 2012. The two sides have regularly and effectively implemented cooperation mechanisms such as the Inter-governmental Committee, the theoretical workshops between the two Parties, political consultations between foreign ministries, and national defense and security dialogues. Apart from the fruitful political ties, economic and trade cooperation between the two countries has also received attention through programs and projects. Two-way trade averaged 170 million US dollars each year between 2012 and 2014, and climbed to 218 million US dollars in 2015, and 230 million US dollars in 2016 and 2017, with Vietnam enjoying a trade surplus. 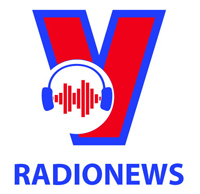 Vietnam exports rice, coal, chemicals, garment-textiles and computers to Cuba while importing vaccines and pharmaceutical products from the Caribbean country. Rice alone accounts for over 60% of Vietnam’s export value to Cuba which imports about 350,000-400,000 ton of rice from Vietnam each year. 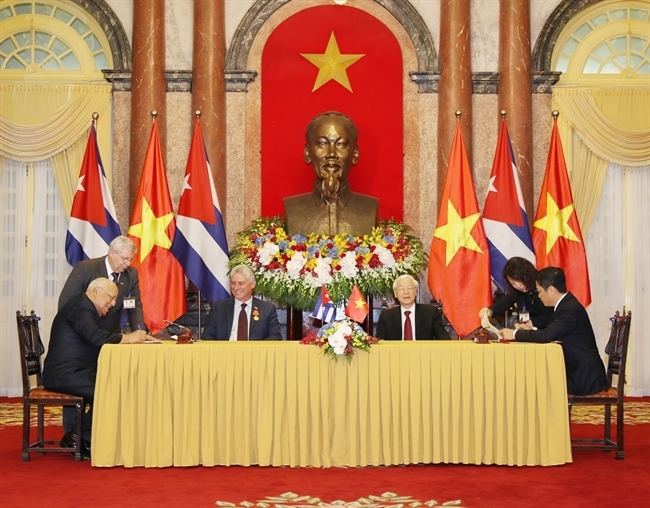 Vietnam and Cuba are negotiating a new bilateral trade agreement to open more opportunities in investment and business, marking Cuba’s first deal with an Asian partner. This agreement is expected to boost trade between the two countries to 500 million US dollars a year by 2022, doubling the average for the past five years. 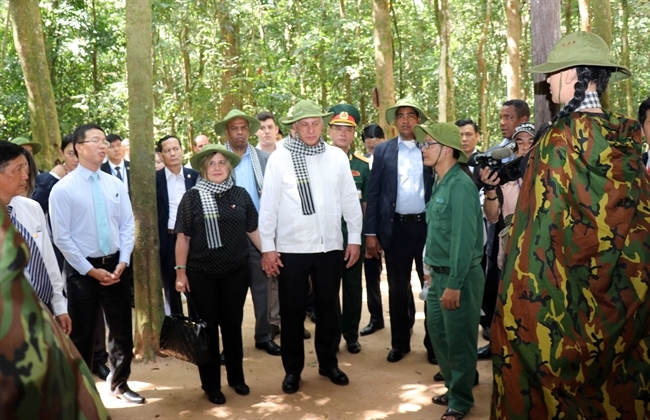 The Cuban side has called on Vietnamese firms to invest in such areas as food production, industry, tourism, bio-technology and priority sectors at the Mariel Special Development Zone. 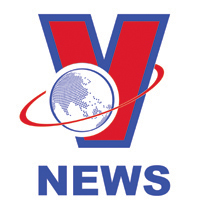 Along with telecom cooperation between Viettel Military Industry and Telecoms Group of Vietnam and Cuban Telecommunications Company ETECSA, the two countries have joined hands in the production of vaccines and medicines, and exchange of experts in this field. 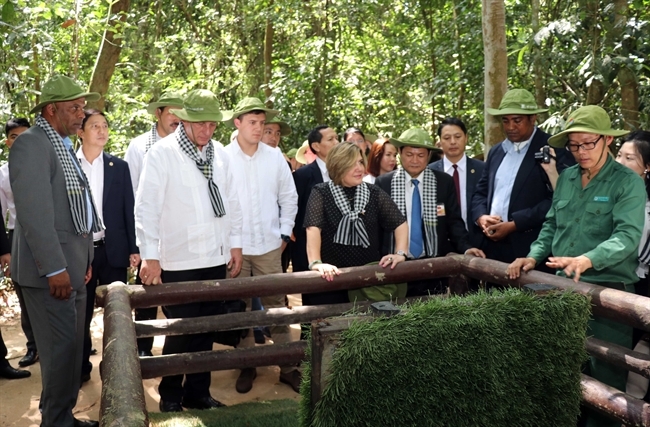 In agriculture, through projects on rice, corn and soybean production, and aquaculture, Vietnam has helped Cuba improve productivity and ensure national food security. Cuba has assisted Vietnam in training thousands of Vietnamese university students and post graduates, annually providing 20 university scholarships for Vietnam. The two countries maintain expert exchanges in agriculture, husbandry, construction, health and aquaculture.